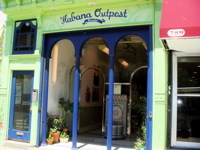 Some friends and I ate lunch at Habana Outpost on the corner of Fulton and South Portland St last Friday. 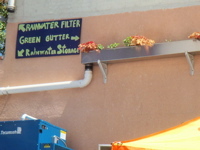 It was a beautiful day to sit outside and have a margarita. 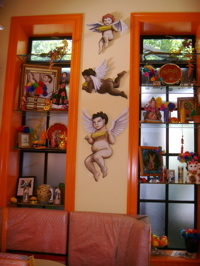 The decor is fantastic. 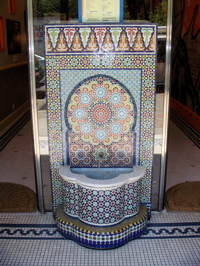 I love the combination of Southern Spanish / North African elements with Catholic, Central American and bricolaged pieces. 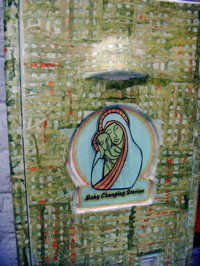 Habana Outpost is an “eco-eatery,” which is displayed in several design elements. 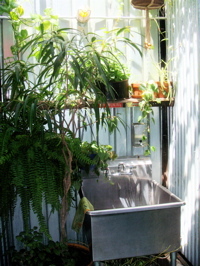 In the bathroom rainwater runs through copper pipes to feed sunflowers and other green plants. 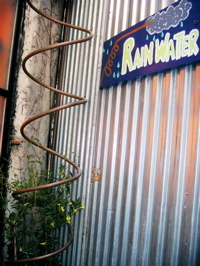 In the back rainwater is channeled to rows of herbs that patrons are invited to smell and identify. 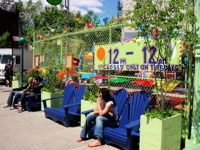 Habana Outpost is a perfect example of the New Urban Aesthetic that seeks to enhance the already ecologically advantageous elements of urban dwelling with environmentally conscious architecture. And the food is delicious. « When is a Hitler Mustache not funny?